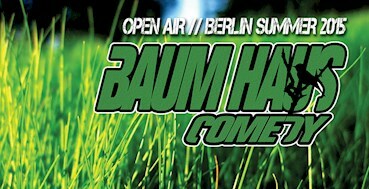 This event "Baum Haus Comedy Open Air : Imaan Hadchiti (AUS)" @ Griessmuehle has already ended on 06/25/2015. Here you can find upcoming events for this location! Please join us on Thursday 25th June for Baum Haus Comedy Open Air outside at the incredible Griessmuehle open air venue in Neukölln.